The Gloria New Course (18 holes, Par 72, 6239 m). The Championship New Course opened in 2005 and instantly became a firm favorite with all golfers. 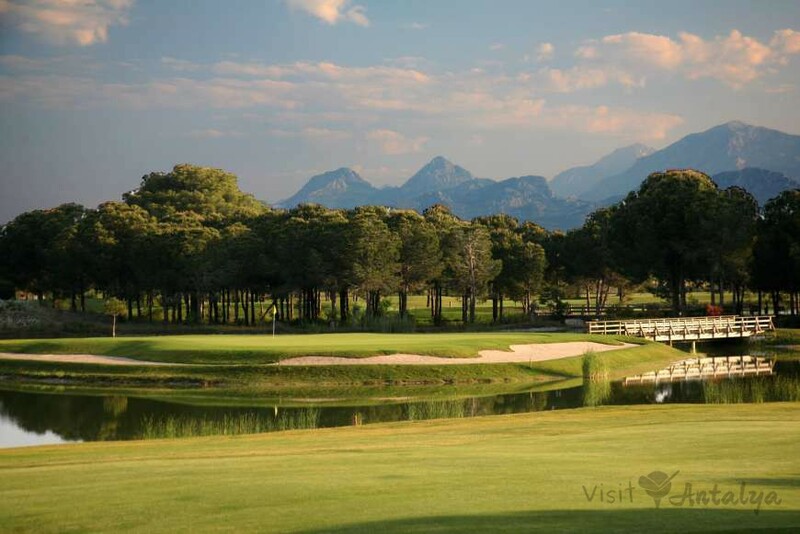 In 2007 the European Seniors Tour Classic was held, set in 700.000 m2 of Pine trees and with 4 large lakes and with 67 bunkers it is a worthy sister to the Old Course, the signature 17th hole modeled on the 17th at The TPC Sawgrass and the lake lined 18th hole make sure your finish will be truly memorable. 17.10.2018–30.10.2018 The course is closed due to overseeding. water hazard 4 lakes, 57.000m2, constant water level.